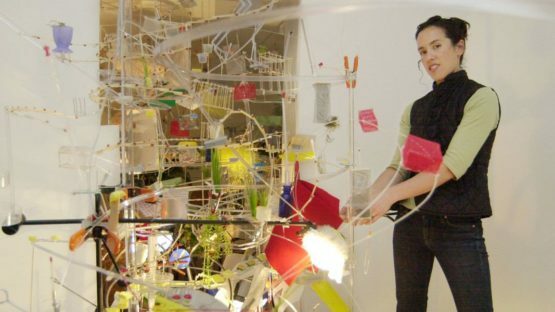 Sarah Sze is an American artist, known for her unique sculptures and site-specific installations assembled from ordinary objects such as plastic plants, candies, packing materials, and aluminum ladders. The artist continually collects little things everywhere she goes, so her works can be thought of as autobiographical records of where she’s been. Born in Boston in 1969, Sze currently lives and works in New York.